It was Fifty Years Ago Today! The Beatles: Sgt Pepper and Beyond is a new documentary film celebrating the 50th anniversary of The Beatles’ Sgt. Pepper album. It serves as a complement to the Making of Sgt. Pepper documentary from 1992 and also the recent PBS documentary, Sgt. Pepper’s Musical Revolution. While those films offer more of a focus on The Beatles’ recording process, It was Fifty Years Ago Today gives a more cultural context to the Sgt Pepper album. This film was not officially sanctioned by The Beatles, and therefore no Beatles music was included. Instead it offers interviews with many people who were in the Beatles inner circle and also famous Beatle biographers. They all have some great insider stories and details to share. For example, the documentary features rare interviews with The Beatles’ original drummer Pete Best, John Lennon’s sister Julia Baird, Beatles’ manager Brian Epstein’s secretary Barbara O’Donnell, Steve Diggle of the Buzzcocks, Beatles associate Tony Bramwell, Pattie Boyd’s sister Jenny Boyd, Hunter Davies, Simon Napier-Bell, Ray Connolly, Bill Harry, Philip Norman, Steve Turner, Andy Peebles, Freda Kelly and The Merseybeats. Another plus is all of the rare historical footage of The Beatles that you don’t often see in “official” documentaries. However, the flow of the film is at times disjointed with one interview popping up in-between two other unrelated segments. Also, the film title and DVD cover text leads you to believe that the focus is mainly on Sgt. Pepper. The film starts in August 1966 giving the background of why The Beatles stopped touring which led to their unlimited time in the recording studio. However, the film goes on for 2 hours, and covers material way past the release of Sgt Pepper in June 1967 to include the Beatles trip to India in 1968. In this reviewer’s opinion, the film was about 30-40 minutes too long and all of the information about what happened after the death of Brian Epstein in August 1967 should have been omitted. The fact that it continues through 1968 leaves you to wonder where this “Sgt. Pepper” documentary is headed and wondering when it will end. With that said, the interviews are very intelligent and interesting. There is also a second DVD of bonus extra footage of extended interviews with a few people featured in the original film. Highlights are the in-depth interviews with former BBC radio host, Andy Peebles, who interviewed John Lennon two days before he died, and Pete Best. Also included is a brief visual tour of Beatle-related sites in Liverpool and London, with a special stop at 34 Montagu Square, which has a special connection to John, Paul and Ringo. For Beatles fans who like to get their hands on rare footage and interviews of The Beatles, then this DVD is for you. – T.Y. Categories: New Beatles merchandise, Reviews | Tags: 50th anniversary, beatles, beatles documentary, dvd release, interview, sgt pepper, the beatles | Permalink. Editor’s note: In honor of the anniversary this month of “When Elvis met The Beatles” we are posting this review of the book (written by the editor of Daytrippin’) that was released last year which contains many Elvis/Beatles stories. The John Lennon Examiner has received a digital copy of the book from the author, and found it to be incredibly enlightening, enjoyable, and as the subtitle suggests, “startling.” The author wrote, “Often taking a back seat with historians to The Beatles in terms of rock and roll influence, Presley’s legacy has been marred by misconceptions of the man as an entertainer and human being.” As most Beatles fans are aware, Elvis was John Lennon’s biggest hero, the one he emulated, the one he idolized—until Lennon was bemused with Elvis’ career after spending two years in the Army. At 145 pages, each of the thirty-two chapters brings to life a different story, written chronologically throughout his life. To name just a few, the book begins with a revelation concerning his speech impediment, a fact that is not well-known. The identity of the mystery woman behind the famous 1956 photo called “The Kiss” is revealed, and how Elvis is responsible for making the Arizona Memorial in Pearl Harbor a reality. Readers will learn about the secret girlfriend he was going to see in Washington, when he inevitably met with President Nixon. Young points out that Elvis developed a private spiritual life, and connected with gurus long before the Beatles made their association with the Maharishi so public. His association with the Beatles is addressed in several chapters, shedding light on various aspects, such as: the difference in earnings from their appearances on The Ed Sullivan Show, the day The Beatles met Elvis in 1965 at his home in L.A., and the truth behind his “grudge” against the band. The disparaging statements he made to President Nixon about the Beatles—something fans have been angered by for years– are explained from a different vantage point. In addition, included in the appendix is a comparison of record sales between Elvis and the Beatles, which may surprise fans of both. The book is well-researched, with a sizable bibliography, and a great read. The John Lennon Examiner recommends this book for Beatles and Elvis fans alike. It is an enjoyable and fun read that will shift readers’ perceptions about “The King of Rock and Roll” for the better. See the official website for Elvis: Behind the Legend. The paperback and kindle editions can be purchased on Amazon. Categories: Beatles History, elvis presley, Reviews | Tags: beatles, book review, elvis meets beatles, elvis presley, Elvis: Behind The Legend | Permalink. Review: The Fifth Beatle: The Brian Epstein Story – What’s all the fuss about? What is all the fuss about the graphic novel by Vivek J. Tiwary, Andrew C. Robinson and Kyle Baker about Brian Epstein, The Beatles’ manager? This book has been getting a great deal of attention due to the fact that it not only will be made into a feature film by Simon Cowell’s Syco Entertainment, but also a multi-part television series with Sonar Entertainment. However, Epstein may deserve the title more since without him, The Beatles may have never made it out of Liverpool. It was Brian who persevered in acquiring The Beatles a record contract in England after repeated rejection. It was Brian who negotiated their debut in America with Capitol Records and Ed Sullivan. It was Brian who encouraged them to clean up their act to be presentable to the public. Brian may have believed in The Beatles more than they themselves did. To tell the complete history of The Beatles, a graphic novel can be a challenging format. Due to the comic book layout, The Fifth Beatle tells its story through more of a screenplay or storyboard format rather than a traditional book, which explains why it can easily be envisioned for the screen. Unlike other graphic novels, The Fifth Beatle leaves out a narrator. As a result, the characters are required to explain much more through their words than they probably did in actuality. Tiwary’s goal was “to reveal not just the facts but the poetry behind the Brian Epstein story.” He certainly finds inspiration and admiration for Epstein in all the obstacles he faced, not only in promoting The Beatles, but dealing with his closeted homosexuality. But that doesn’t excuse perpetuating detrimental myths back into Beatles’ lore. These “truths” used for drama are harmful to the legacy of The Beatles. For example, The Fifth Beatle depicts Brian Epstein as purposely buying 10,000 copies of The Beatles first single “Love Me Do” in order to get it higher on the UK charts. Great for dramatic effect, but not so great if you’re into the truth. Another depiction that is greatly exaggerated is Brian Epstein’s dealings with Elvis Presley’s manager, Colonel Parker. In The Fifth Beatle, the Colonel is depicted as devilish and horribly unfair to Elvis for taking 50 percent of his earnings. However, the 50/50 contract, which only applied to side deals, was not signed until 1967, three years after the meeting between Parker and Epstein took place in 1964. The 50/50 split did not apply to all of Presley’s earnings until 1976, a year before Presley died. Another case of dramatic license, and yet the movie hasn’t even been made yet. Unlike what is presented in The Fifth Beatle, Colonel Parker was reportedly a big help to Brian Epstein and they got along well. Author Ray Coleman describes Colonel Parker as being generous in his advice to Brian about The Beatles touring in the States. While Tiwary succeeds in passionately giving credit to Epstein for his role in promoting the biggest band of all time, he also raises concern by presenting inaccurate facts in his graphic novel, which may then be carried over into the forthcoming movie and TV series. 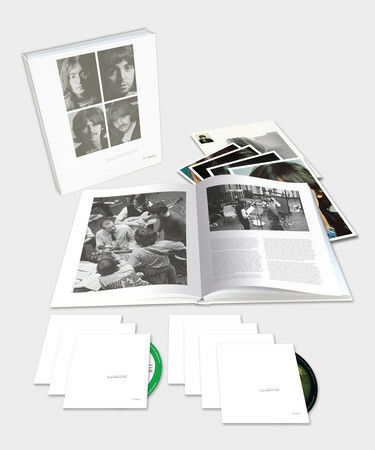 Note: A special Collector’s Edition of The Fifth Beatle was recently released which includes a unique textured cover and a section of bonus materials with rare Beatles and Brian Epstein memorabilia, artist sketches and alternate covers. 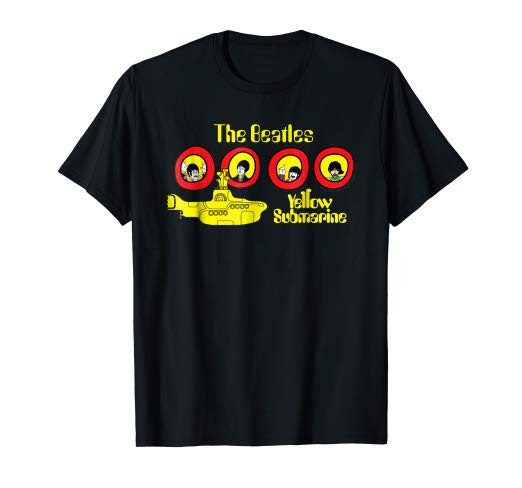 Categories: New Beatles merchandise, Reviews | Tags: beatles, book review, brian epstein, mark lewisohn, the fifth beatle, vivek tiwary | Permalink.